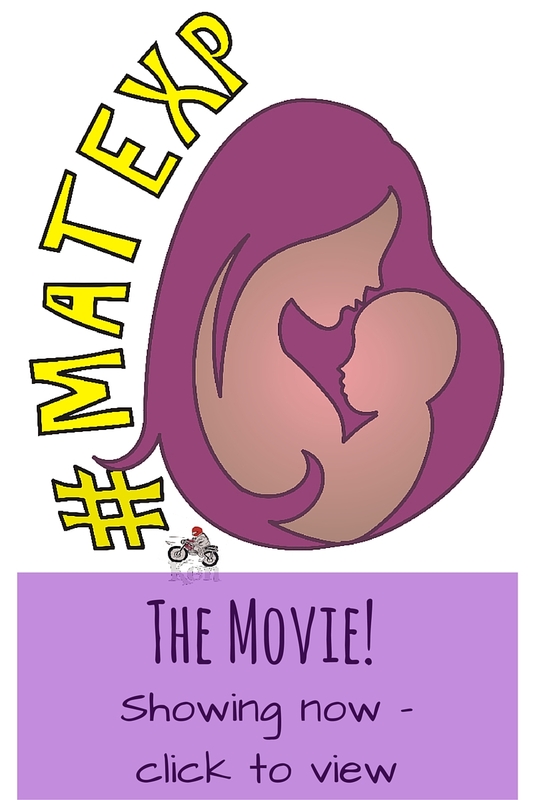 So I decided to start a series of blog posts on “Women’s Voices in #MatExp” from the point of view of those working in maternity, and this is the third of those. This is El Molloy’s experience of supporting breastfeeding. Thank you so much to El for agreeing to write for us. You can read the first two blogs in the series here and here. 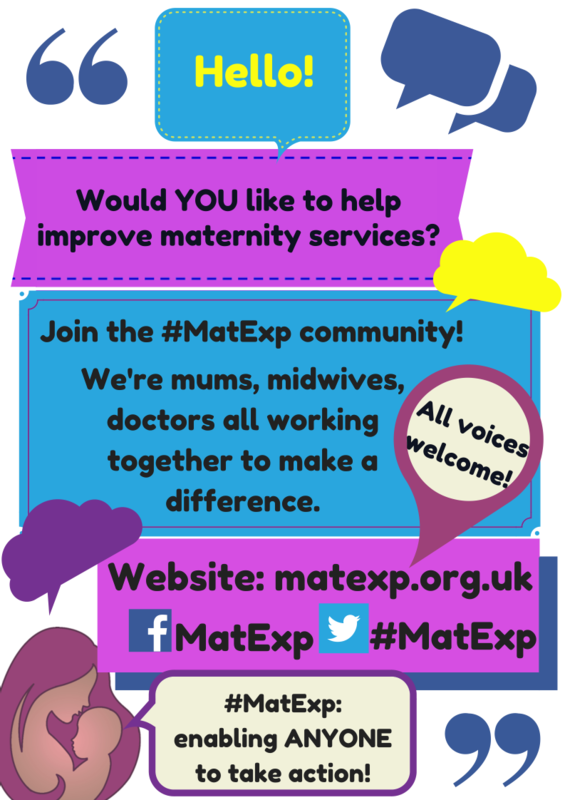 And yes, I will be doing a “Men’s Voices in #MatExp” series too. Because this campaign is about all voices. I am an NCT Breastfeeding Counsellor in Coventry, and a Peer Supporter on the Infant Feeding Team (run by Coventry City Council). I sit on our local MSLC (Coventry and Rugby CCG) and was a member of the Coventry Breastfeeding Strategy Group. 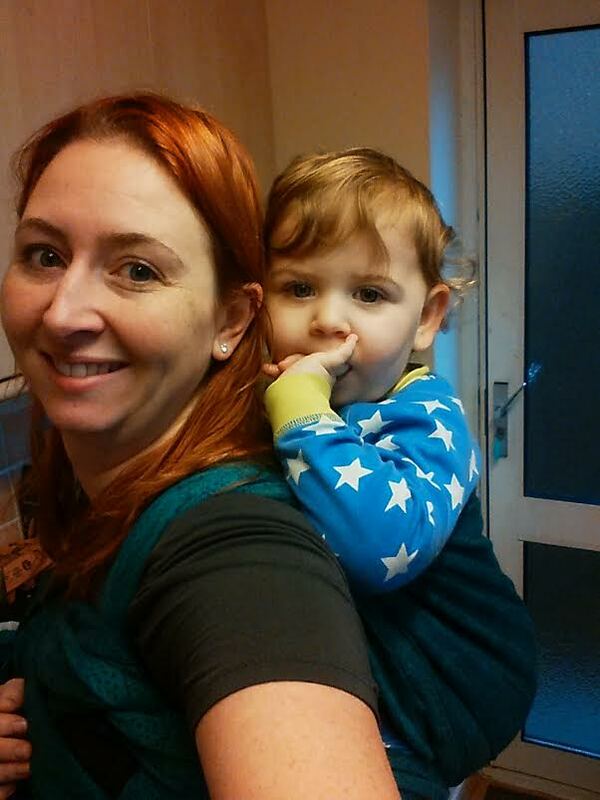 I am also a Babywearing Peer Supporter for Coventry Slings, and am about to do my Consultancy through Slingababy at some point this year. Probably after I finish the dissertation for my MSc in Child Health (through University of Warwick). I also help to facilitate the Coventry NCT Birth Choices (after caesarean or traumatic birth) Group after it was set up and run successfully by one of our amazing local Antenatal Teachers. This is supposed to be a blog about Breastfeeding Support. Which means it also has to be about being a Peer Supporter – and being a Breastfeeding Counsellor. And now I don’t know who knows what those roles entail, or what we do in either of them. Is there a difference? Can parents tell the difference? Do they care? To be a Peer Supporter, or a Breastfeeding Counsellor – that is the question…I think? 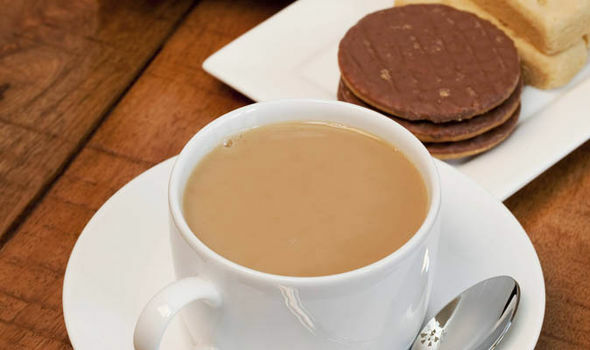 I make a damned good cup of tea (and coffee – because I drink a *lot* of coffee). And at a push I can do cake, but usually I have biscuits. However this is all the icing on the cake or at least bribery, to encourage new mums to come to our groups, have a drink, have a biscuit, and stay a while. Let us listen to your story. And I carry tissues in my bag – always. As a peer supporter I have had UNICEF training in breastfeeding support (for most projects this is between 6 and 10, 2-hour sessions, delivered by someone who may be the local Infant Feeding Lead Health Visitor or Midwife/IBCLC/NCT Peer Support Trainer). I am a mother who has breastfed her own children. If you want to get technical I *am* a peer supporter – I am still breastfeeding my youngest. I can walk alongside you in your journey, I can tell you that things were and are occasionally tough for me – that despite the official badge and t-shirt (purple this time round, blue before – I declined the hot pink – it clashes with my hair!) I am not an “expert”. I don’t know all the answers – and I’ve yet to meet anyone who does. But as a peer supporter I can tell you what ‘normal’ breastfeeding should look like. I can tell you that there are no rights or wrongs, except what works for you and your baby. With the caveat that baby is happy and you are not in pain. And I can offer you information about what you need to look for in your babies feeding patterns so you can feel confident things are going well. Does Peer Support make a difference? I’d like to think so – and I can see locally that overwhelmingly most families find us useful. There are always the other stories, the one about the PS who said to use baby rice at 4 months, but that’s no different to the story about the Midwife who said baby should sleep for 4 hours between feeds, or the Health Visitor who suggested controlled crying… One poor piece of information shouldn’t tarnish a whole section of support. 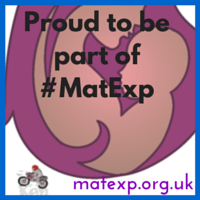 This is something we are seeing every day on #MatExp. There is a world of difference between midwives and *this* midwife; between Peer Supporters and *this* Peer Supporter. And the supporters are only ever as good as their training and ongoing Continuing Professional Development (CPD) and supervision. And this Peer Supporter is also a Breastfeeding Counsellor. Specifically, I am an NCT breastfeeding counsellor. This means, for the uninitiated, that I am trained in person-centred counselling skills, that I am a sign-poster to other information, other options, other Health Care Professionals. But that always the mother is front and centre. This too means that I have breastfed my own children (for a minimum of 6 months – though extenuating circumstances may apply for others). It means that rather than the UNICEF training, I have spent 3 years distance learning through a University accredited course, writing essays, going on weekend workshops. Debriefing my feeding experiences; embedding my counselling skills in practice as well as theory, understanding and training in group facilitation (for both antenatal sessions on courses, and in running breastfeeding groups). Parents aren’t interested in the Diploma that I have, or the ongoing CPD that I have to fulfil, including regular supervision, or the fact that my CPD is specific to each of my roles within NCT. Parents just want to know what I can advise – what I can do to ‘help’. The honest answer is “nothing”. Because in either of my roles, that is not part of my job description. Advising would indicate that, again, I know best – and I do for me, but not for you. I have being trained as a reflective practitioner, and I have recently realised that I have moments of conscious and unconscious competence – I am, as we all are, a work in progress. If I am visiting you, or welcoming you at our group, I will sit and listen to you talk about your options, and maybe offer suggestions. We might talk about how you feel about what you’re being asked to do, until you come up with a plan that is going to work. Reading the previous blog by Maddie, some of her descriptions about working with parents in labour – asking – what do they want to do, how do they feel… This too is how we work. And the general mistrust by other HCPs feels all too real. As a Breastfeeding Counsellor I also have time to sit and listen to your worries about how feeding didn’t work well with your older child. You might have called me because I facilitated your antenatal session; or maybe you’ve been searching on the internet. You might have called the national line, and they have given you my details. Maybe you have come to the Drop In that I run with another colleague. I might visit you at home, where you apologise for going round in circles about whatever is worrying you – but I sit and listen, and reflect your words to you, or maybe ask the one question, or make the observation, that triggers the understanding in you that your worries are not all feeding related, that you’re concerned about your relationship with your partner. I too go home and worry; did I say enough, not enough. Did I miss a subtext. I am all too aware of the responsibilities that the midwives and health visitors have. The understaffing, overstretching. We will refer in parents who are struggling. “If you are still concerned talk to your midwife, is this something you feel you can ask your Health Visitor about…”. We will make the phone calls where we are concerned about parents mental health, those feelings where things just feel slightly ‘off’. We trust that you will support families, and we ask that you trust us to do the same. Trust that we have the experience with breastfeeding, that we can and do support mothers long after they stop attending baby weighing clinics, long after their regular assessments – all still breastfeeding. We support them to continue, and to stop when that’s right for them. At 2 months, or 2 years, or even longer. I want (I want?) I can say it in this context… I want all women to have confidence in their decisions, and to have the right information for them to make the decisions that work for their family. Whether that is because they understand that breastfeeding past 9 months isn’t tantamount to child abuse (yep, that old chestnut); or whether it’s because I signposted her to the information they needed about their anti-depressants which meant they had confidence in continuing to feed even when she felt her world was falling apart. Whether that’s because we worked on positioning until she finally hit that sweet spot and it finally clicked that no, breastfeeding does *not* have to be painful; or whether after seeing 6 other HCPs and being told that she had ‘forgotten’ how painful feeding was, I mentioned tongue tie as another possibility, and lo and behold division did result in huge improvements. We have time, I tell the women I see, don’t worry (often as I’m glancing at the clock, thinking, I’m going to be late to my last visit, and I know that’s 20 minutes away, and it’s already 4.45pm on Friday, and I finish in 30 minutes). When baby won’t latch, or has just fed before I arrived and won’t be woken. “How have things been?” “What have you tried?” “Some parents find…” I joke that all babies sleep for me, except my own. We talk about previous miscarriages, we talk about the joy in feeding her firstborn, and the fear that it won’t work this time. That she’s been told it’s just a “small” tongue tie, but she’s worried about him swallowing blood; we talk about how to deal with engorgement, and how can she ease the cramps that accompany her let down. How can her partner bond with baby, so when can she start expressing; we talk about shared bath times, and babywearing. And how will she cope when he goes back to work. We have such a fluid society that we don’t often live close to our mothers, and can’t learn from them the way we used to. My visits span the world, from South Africa to Vietnam, to Latvia, Canada or Scotland. The accents change but the worries and fears are all the same. It gets easier, you can do this. And particularly in the light of the media frenzy unleashed by the Breastfeeding Series published by the Lancet. We can do this. Together we can change the world. Beautifully written… thank you for sharing and for doing what you do. Your work and effort is helping do many women and babies. As a breastfeeding counsellor myself, this all feels SO familiar! Beautifully written, giving a genuine insight into our work. Thank you for writing this – and yes, the way we hold space for a woman during labour and afterwards during her babymoon are very similar!